As part of this year’s celebrations marking the 250th anniversary of Telemann’s death, the ensemble, which includes members of the Berlin Philharmonic, Akademie für Alte Musik and other famous ensembles, has once again searched out long forgotten treasures within the Telemann opus and has unearthed something new. Concerto Melante discovered the two cantatas “Sey tausendmahl willkommen” (TVWV 13:9a) and “Du bleibest dennoch unser Gott” (TWV 13:9b) as well as three highly captivating sonatas da camera (TWV 42:e7/42:e:8 and TWV 43:G13), which they present as world premiere recordings on this album. A further highlight of this release is the chorale “Ein feste Burg ist unser Gott”, (A Safe Stronghold) which can be heard on this disc in four different versions of the original Johann Walter with the text by Martin Luther and also as a motet by Telemann. 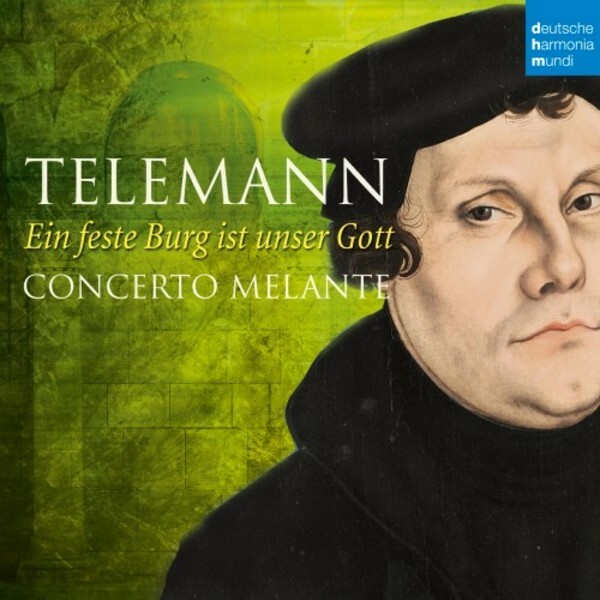 This makes the recording a kind of musical “church service” paying tribute not only to the Telemann anniversary year, but also to the quincentenary celebration of the Reformation.